Locus Sigilli: On yer bike! 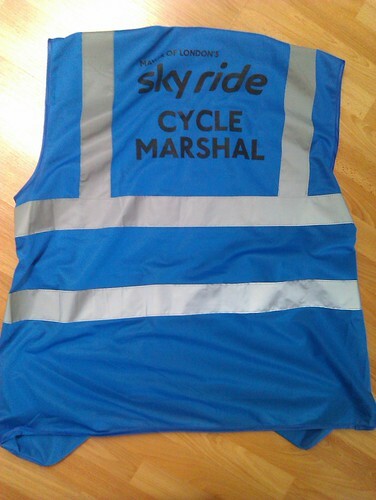 Today I volunteered as a cycle marshal for the annual so-called Sky Ride event. 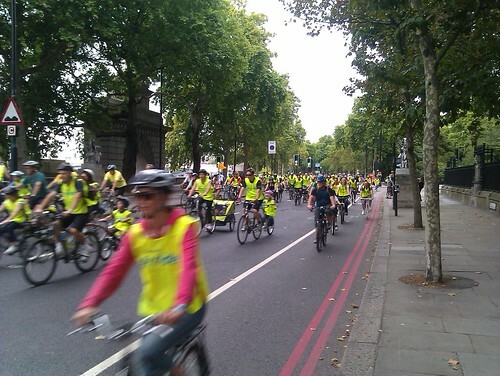 Basically, on that day main roads are closed to traffic from the Buckingham palace up to the Tower of London, and less experienced cyclists are given an opportunity to ride in the centre. It is still needed though to get to those closed central streets, and that's what marshals are needed for. People gather in groups all over the city and then are safely escorted to the destination, and our team's task was to get locals from Hackney to Blackfriars. 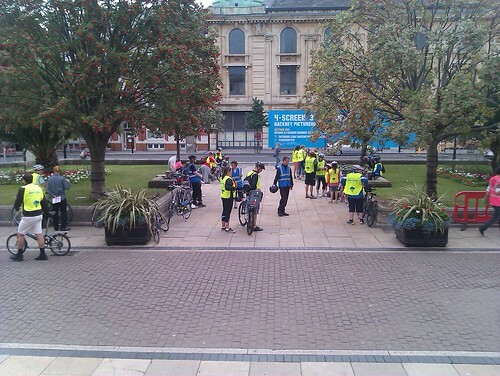 I was concerned a bit about my own confidence despite taking the planned route yesterday on my own as I had never before cycled in a group. Turned out to be not very hard though I got confused several times blocking the wrong lanes (hopefully I still was more help than hassle to other participants and to the ride leader). I can recommend volunteering for similar activities to any regular cyclist because even if you're experienced enough the necessity to look after others still provides some valuable insights on what's going on around on the road (as you usually don't pay much attention to that). I can probably tell it widens your perception in some way. You'll find yourself to be much more attentive on junctions, when overtaking etc. - even if you're on your own. A bit more pics and videos are available in the dedicated Flickr set.